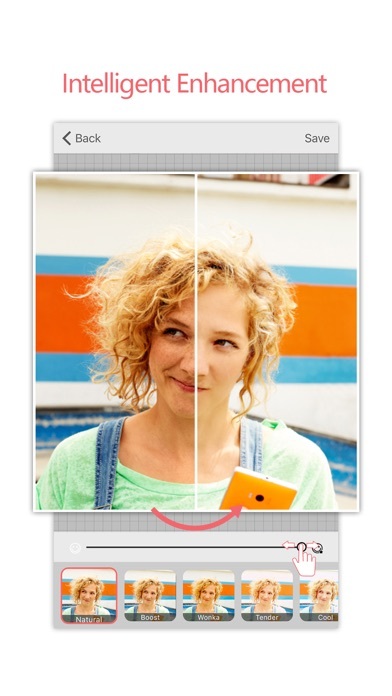 Microsoft Selfie is a selfie and photo enhancement application available on iOS, web and WeChat. 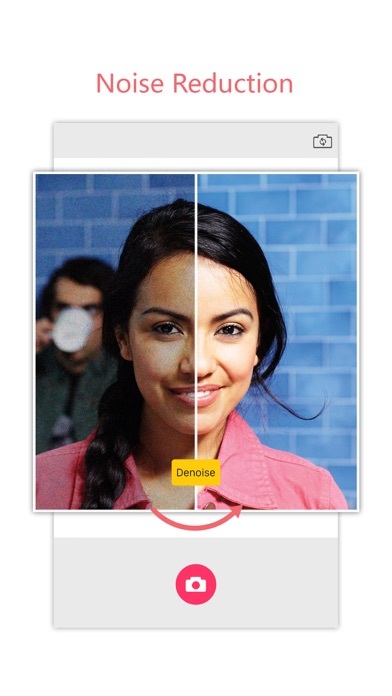 Backed by computer vision technology, Microsoft Selfie intelligently considers age, gender, skin tone, lighting, and many other variables all with one click. 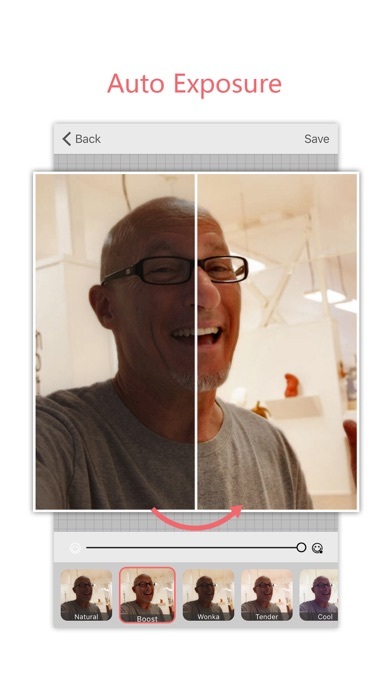 Users can transform average photos into enhanced, ideal portraits in seconds. [Key Features] - Intelligent Portrait Enhancement: The app intelligently considers age, gender, skin tone and lighting when enhancing the portraits, and it will make the result much more natural. - Noise reduction: In dim light condition, the app would automatically enable “Denoise” mode, and effectively reduce noise by using burst shots. When “Denoise” mode is enabled, you can see “Denoise” on the screen. - Auto exposure: It can do automatic exposure correction and photo clarifying, especially for backlit photos. This function can be achieved when user chooses the “Boost” filter mode. There must be a bug. It won’t even allow me to select a photo from my album. This is by far the best photo enhancement app I have ever used. It is so much better than anything else I have ever seen in automatically and intelligently making your photos BETTER not just different that there really is nothing else out there that even comes close. When I see the lower reviews I realized that sometimes the reviews are just worthless. This isn’t a goofy Snapchat filter. It’s a serious digital portrait enhancement. Nothing else comes close. The only thing I have found to criticize is that the AI algorithm has trouble with tilted faces or faces turned too far in any one direction. Maybe some of the reviews are from people who didn’t know that? Because then the program just doesn’t do anything except affect the tint a little bit. Pick a picture where you are looking more directly at the camera and you will see the magic. Takes 10-20 years off perfectly and instantly. Why does it mute my phone? I adore this app for the smoothing effects, but it always mutes my phone when I use it, which is irritating. Needs to be updated for current version. Crashes. Unable to save photos. The most usable and the best selfie app! This is a good app but should be consistently updated to keep in track with other apps in the iOS ecosystem with latest filters and effects. This also needs to be updates to use the iPhone X aspect ratio and usage of the full screen.